The word stress seems to have different meanings in different contexts. It can be said to be a pressure or worry caused by the problems in somebody’s life, it can also be used to lay emphasis on a special importance given to something, and it also appears to be an illness caused by difficult physical condition. There are more explanations on the term stress which I will not discuss in this post. However, using a job interview as a case study, stress simply means nervousness. You have just arrived at the interview room facing your interviewer who isn’t wearing the kind of warm smile that you would have liked; the chair you are sitting on suddenly becomes so hard, you begin to tremble and stammer while replying to questions, your face and palms starts sweating profusely, your mouth and throat becomes dry, and then your hands and legs jitters as if you see a ghost. No doubt, all these are signs of Interview Stress. Getting nervous during a job interview is common among many job hunters, despite the number of times one has faced an interview exercise. A Job interview isn’t a mere child’s play, it is actually very tough. The level of anxiety it instills on an individual could go a long way in reducing the chances of success of such a person during a job interview. However, one can still proffer a solution to this particular problem. In order to overcome interview stress and emerge successful in a job interview, you need to take control of your level of anxiety by getting anxious and calming your nerves before entering the interview room, and then face your interviewer with much authority and confidence. I will suggest you think of the whole exercise as a normal discussion about a particular job position, this will surely make you feel relaxed and comfortable. There are some effective techniques that you can apply to overcome stress during your job interview. Most job seekers tend to neglect this particular factor. Researching a company before the interview date is a task that must be accomplished by every job seeker. Having enough knowledge about the job, the company and the industry is a sure tip for reducing stress, as you will be able to give relevant answers to questions concerning the company, based on the research you did. When you have done your research properly, you tend to face your interviewer with much confidence knowing that you are highly informed with what they are looking for. Believe that a common interview doesn’t determine your employment status in the future. Surely, there will be more chances of getting a good job in the future. A job interview is just like an assessment, or maybe I should say ‘a test’. Getting one answer wrong doesn’t disqualify a candidate. If you are able to answer correctly, nine questions out of ten, then you sure stand a chance of getting hired. You are special being, learn to believe that. Never see yourself as being inferior. You have to believe in your capabilities. So whenever you get the thought of being inferior, remember this fact and be convinced that you have all it takes to get that job. Once you have properly researched the company and yourself as well, there is never a question that will be so difficult to the extent of making you seem foolish. Know yourself, know the company, know the industry, know the position you are applying for, and you will be just fine. Practice makes perfect they say, and this is also true when it comes to job interviews. You can ask someone; either a close friend or a mentor to act as your interviewer, and then you try as much as possible to perfect the answers to the questions being thrown to you. On the day of the interview, after you must have arrived early to the interview venue, visualize yourself going through an interview exercise with much confidence and less doubt and anxiety. This will help keep you relaxed and calm during the interview process. This is one effective strategy to keep your mind and body relaxed. Make sure you plan your schedule properly and take care of any issue that may prevent you from getting to the interview venue on time. I will advise you arrive at the venue 15-30 minutes before the time. Entering the interview venue in a rush will definitely make you feel so nervous; this can jeopardize your chances of emerging successful in the interview. Before the interview date, organize all you need to do on the day of the interview, and all you will need for the interview. For instance, know the documents you will be going with, such as CV, cover letters, references, etc. Also decide what cloths to put on. I will advise you visit your interview venue before the date of the interview. This on the interview date will prevent any form of delay that may arise as a result of you, not really knowing the address of the venue, or the direction to the place of interview. Getting nervous during an interview is something common. You should always expect to feel nervous and welcome it as well. Most times, this feeling keeps you alert ready for any question. Being so relaxed and over-confident can at times make you seem less interested in the interview. No doubt, your interviewers were once interviewees; they went through series of interviewers before getting to their current position. They also understand that job interviews are very tough and stressful and as such; they will try not to make you feel uneasy. Keep this at the back of your mind, it will help cheer you up and increase your level of confidence. Can this really be possible? Can an interview be more stressed than an interviewee? Yes! This is very possible, especially when the interviewer is a new Human Relations Officer who hasn’t been interviewing candidates. In situations like this, you can easily control your stress level knowing that both you and your interviewer are on the same plane, hence, the whole exercise becomes interactive and enjoyable. A warm and polite smile will keep you happy all through the interview period. I am not suggesting you laugh always even when nothing seems to be amusing you. I read about a job seeker who went for an interview in a funny attire. Immediately he stepped into the interview room, his interviewers couldn’t help laughing at his attire. Not knowing the cause of their laughter he immediately joined them; laughing louder than every other person present in the room. What do you think would become of this applicant who just made a fool of himself? I wouldn’t love to discuss that. Always wear a warm smile, appear cheerful, do not look sober or frown your face like one who is attending the funeral of a loved one. Have you ever experienced interview stress? How does it feel like? What measures did you take to overcome it? What do you think about the tips mentioned above? Let’s have the rest of the conversation via the comment section. Great tips!! you have provided some important tips over here i would like to suggest one point here “Role Play” ,ask your friend to act like a recruiter and give him list of possible questions to him by this way you can overcome your fear too. This was an awesome post on interview. You’ve almost covered all the aspects of an interview. Thanks for sharing and i’m very glad to get landed over your blog. Welcome to my blog – my neighborhood. Glad you took the time to visit and to give your feedback. Do come back again. Blessings. I like the fact that you talk about overcoming stress in a Job interview. I once went for an interview where the interviewers were calm and smiling. This quenched every tension or stress and the interview was swell but such conditions don’t happen all the time; I agree that some interviews can be tough so all your tips are great and spot on. Getting rid of negative thoughts is very important; If you believe you are a failure, you become one as soon as you begin the interview. Researching your company is important as how will you be able to answer their questions if you don’t know anything about the company. Practising, be punctual and trying to get everything ready before the interview day is a must as it is a thin line between be prepared and being scared. Hope you having a wonderful time? An interviewee should never have the thought of failure. Infact for the fact that you were invited for an interview you should feel great and proud. 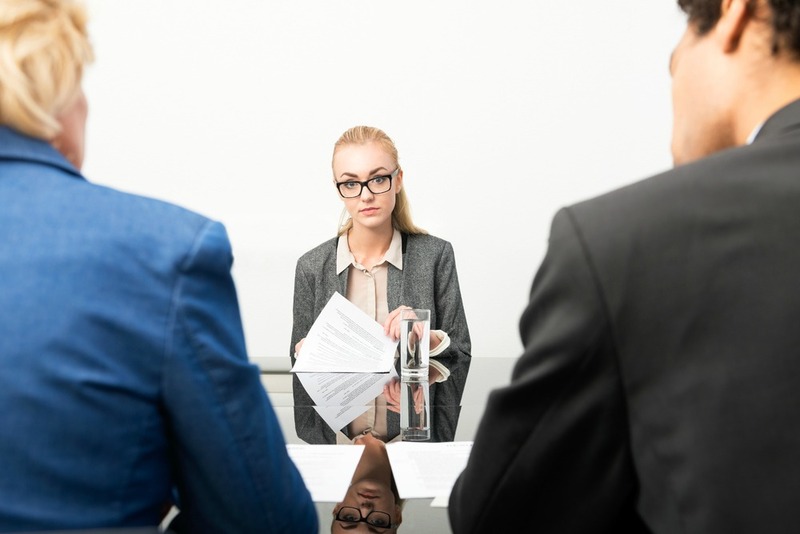 Summoning you for an interview tells you that the company is really interested in you – you have the required qualifications, so all you need to do is go to the interview room and defend and those qualifications. With the above points you will surely feel at ease in the interview room. Thanks for taking your time to leave this comment here. 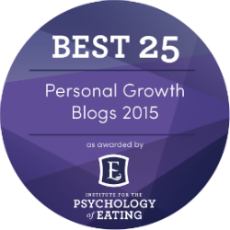 I welcome you to my blog, this time as a guest blogger. 🙂 Thank you for agreeing to do this post, an opportunity given to you through being selected as one of our STARS bloggers. I have been interviewed in the past and ever so often in my scheme of work now, I sit on interview panel to conduct job interviews, so this post is dear to my heart. I must say it is a very nervous experience and as the interviewer, one always have to make sure that the “tone” is right and the candidate is made to feel relaxed and not intimidated by us, even in our facial expressions. To the one who is being interviewed, your points are definitely great advice on how one can overcome stress in a job interview. I especially like # 1, 4, and 8. The first impression always count so I highly recommend that persons be on time for a job interview. Prospective employers look at that very keenly. Also, the one conducting the interview is just as ‘nervous.’ Again it is about ensuring that persons are made to feel relaxed, comfortable and that the environment is conducive to making the process smooth and successful. At the end of the day, it is about everyone being a success at what he or she does. Thanks for giving me this opportunity to be a contributor here at EMB, it feels good guest posting here. Most job applicants are always scared at the sight of an interviewer, they believe that interview experts are way too strict. But that is not the case as far as I know, interviewers know what it feels like to be on that seat as an interviewee, and as such; they strive to make employees feel relaxed and comfortable. When this is achieved, the whole exercise becomes a success.